Ahead of the release of the stunning The Dead Wife’s Handbook, author Hannah Beckerman has popped ’round to answer a few questions about her book and writing habits. Tell us a little bit about you and what got you into writing. I’m a former TV producer: I spent thirteen years as a producer and subsequently Commissioning Editor of Arts and History documentaries. But I’d always wanted to write (and have often tried!) and when the idea for The Dead Wife’s Handbook came into my head (and wouldn’t go away) I just began to write it. The Dead Wife’s Handbook is a beautiful novel about love, life and ultimately loss and how those left behind move on. The story is told from the very unique perspective of Rachel, who has passed away and is observing those left behind, namely daughter Ellie and husband Max. Where did the inspiration for your book come from? Thank-you for the kind words! The inspiration was two-fold: firstly, from conversations with a friend who was borderline-obsessed with what her ex-husband was telling his new girlfriend about her, which got me thinking about how that’s such a common anxiety: what secrets exes might betray. I started thinking about the most extreme version of that: where you haven’t just broken up, but you’re dead and there’s no way of ever intervening. And it also came out of a mid-30s reassessment I was going through about what I felt was really important in life. I was two weeks away from giving birth and spending a lot of time feeling (and looking) like a beached whale: lying on our bed and watching rubbish TV dramas on catch-up. I knew my agent had sent the novel to publishers two days previously and I had (of course!) being obsessively checking my inbox ever since. And suddenly there was an email from my agent saying he’d just had lunch with the Editorial Director of Penguin and they wanted to buy the book. I would have jumped for joy if I’d been physically capable. Instead I telephoned my husband and we had one of those giddy, disbelieving phone calls which was pretty much just as you’d expect it to be. I think it’s fair to say I won’t forget it in a hurry! Do you have any habits, rituals or superstitions with regards to your writing? My only regular ritual is coffee – I just can’t start something without a cup of coffee, which is ironic given that I only drink decaff so it’s not exactly for the rush! It’s just one of those silly habits I’ve got into and now I can’t seem to break it! What’s next for you? Are you working on a second novel? Yes, I’ve finished the first draft of book two and am currently in the torturous process of edits and revisions (which can go on for a very long time!) The subject is under wraps at the moment, but it’s another story that I hope will pack an emotional punch. Finally, a question I ask all of my interviewees: Ernest Hemingway perfected the art of flash fiction with his six word story, “For sale: baby shoes, never worn.” Give us your life story (so far) in six words. In search of emotional truth. Always. Hannah Beckerman is 37 and a TV and film producer living in London. The Dead Wife’s Handbook is her first novel. You can connect with her on Twitter or visit her website to find out more about Hannah and her gorgeous book. To order your copy, hit up Amazon UK. 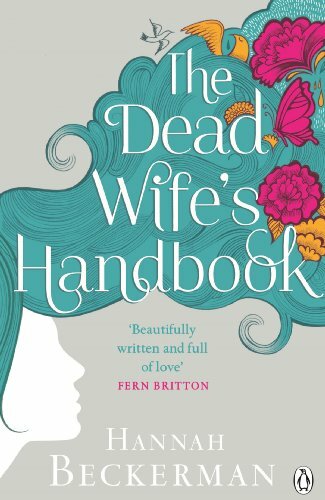 ‹ PreviousThe Dead Wife’s Handbook–OUT THIS WEEK!! !